Are you a first time car buyer and don’t know where to start? Car ownership offers many benefits, but the car-buying process may seem intimidating if you’re in the market for the first time. Mike Anderson Chevrolet of Merrillville is here to help! In this article, we’ll give you some tips to help you make your decision an easy one. First time car buyers can also give our Chevy dealership in Northwest Indiana a call at 219-947-4151 for more information on the car buying process. Speak with A Customer Specialist today! Did you take a job far from home? Is your commute to work minimal? You should take the length of your commute into consideration when purchasing a vehicle. If you have a longer drive, a fuel-efficient compact car may be the way to go. On the other hand, if your commute isn’t too much of a burden, you could potentially purchase a sedan or SUV to accommodate different aspects of your daily driving requirements such as weekend adventures or extra space to accommodate a move. Buying a car is a huge financial decision. Before you make a purchase, know what you can afford. Take the time to sit down and figure out how much you can afford for a new or used vehicle before you head to our Chevy dealership serving Northwest Indiana. Our financial experts are also ready and willing to help you figure out what kind of car you get to fit your budget. You can also save on a new or used vehicle by checking out our new vehicle incentives and offers, and pre-owned specials. Make budgeting for your new vehicle a breeze with our payment calculator, which gives you a rough estimate of your monthly auto loan payment. First time car buyers in Northwest Indiana should take their lifestyle into consideration before committing to an auto loan. 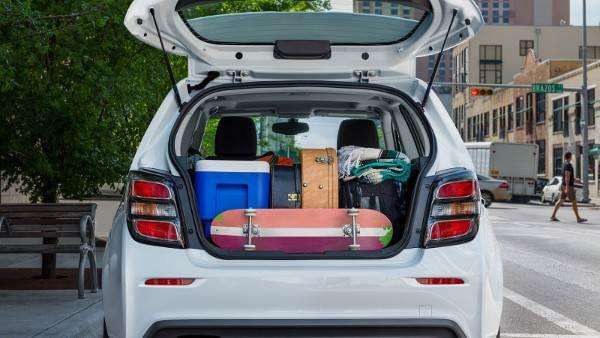 For instance, drivers who haven’t started a family yet won’t need a large SUV and instead might benefit from a hatchback or small sedan, like the Chevy Sonic or Chevy Cruze. If your family is growing, a crossover or SUV provides additional passenger and cargo space to adapt to your needs. Regardless of your lifestyle, the research process is critical so you can take home the vehicle that is best for your lifestyle. Learn more about Chevy cars and Chevy SUVs to get started on the research process. Schedule A Test Drive at Mike Anderson Today! The best way to determine if a car, truck, or SUV from Mike Anderson Chevrolet of Merrillville is right for you is to take the model of your choosing for a test drive. First time car buyers can fill out our online test drive appointment form or call 219-947-4151 to get started. One of our product specialists will have the vehicle ready for you when you arrive for your appointment and ride along to show you how all of the vehicle’s features work. Check out our new vehicle and used vehicle inventories to see which models we have available to test-drive. First time car buyers who would like more information on purchasing a vehicle at our Chevy dealership serving Northwest Indiana can send us a message online, and a staff member will be in touch shortly.